Whether your focus is on design and aesthetics, environmental sustainability, or future maintenance expenses, you’re likely to find what you’re looking for in timber floors. Generally speaking, you can’t go wrong with responsibly sourced high-quality timber. But different types will offer different benefits, and it’s worth thinking about a few different options before deciding on which beautiful type you’ll be enjoying underfoot into the future. One of the main considerations in choosing the timber for your new floors is hardness. 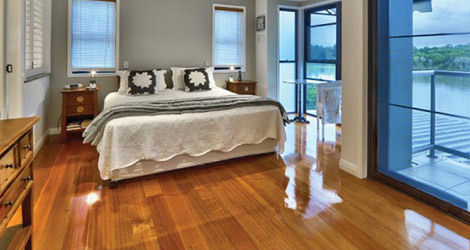 Most of the timber flooring in older Brisbane homes are softwoods—predominantly pine. Some people still choose pines (like Baltic pine) because they blend well with the existing flooring. But because hardwood timbers have better durability and resistance to indenting and scratching, most new timber floors in Australia are hardwood. Different timbers have different levels of hardness. There’s an industry rating measure—the Janka rating—that measures the hardness of each species, and it’s a good idea to think about it if you’re looking for particularly hard-wearing timber to reduce your maintenance and repair costs over the long term. The higher the number on the Janka rating, the harder the timber (and, in theory, the less likely it’ll be to scratch and dent). 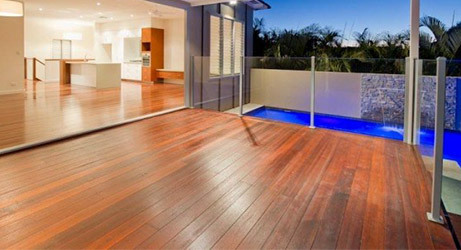 Top-tier timbers that are commonly used for flooring in Brisbane properties include Ironbark (which is rated 14) and Spotted Gum (rated 11), but Blackbutt is also common (rated 9.1). Different species of timber have differences in their grains because of the natural fibres they’re made of (their ‘figure’). But the grain pattern you see in your timber floors is also influenced by how it’s cut: it can be plain-sawn, rift-sawn, or quarter-sawn, all of which result in a different grain pattern. Most Brisbane hardwood floors are plain-sawn, giving the floors the recognisable undulating patterns of traditional wood grain. It can be quite the artform—and if you’ve got the inclination and the desire for a truly unique aesthetic, you could consider different sawing techniques to create different visual effects. Rift-sawn boards look more linear and consistent, and suit sleek, modern and minimalist style. Quarter-sawn boards tend to be more striking, giving a somewhat translucent, patterned effect. The effect of these different cutting techniques can be maximised by choosing planks that are all the same, but in most Brisbane properties, timber floorboards are all plain-sawn or they’re a mix of rift- and quarter-sawn. In older Brisbane properties, you’ll often see hardwood floors comprised of two- to three-inch planks. Contemporary flooring styles, on the other hand, are now trending towards wider planks. Standard specifications for new timber floors are four- to six-inch planks, but with a trend towards more spacious rooms and expansive floor space, planks around seven inches are becoming more popular. Wider planks are considered more luxurious now: they look more sophisticated — but they’re also more expensive, which is why we’re tending to see them in more high-end properties. Part of the attraction of wide planks is that there are fewer seams than in floors made up of thinner planks, so there’s less visual interruption. But there are benefits to thinner planks in this regard: there may be more seams, but the natural changes in the timber (because of expansion and contraction over time) are less exaggerated because they’re distributed over more boards. In floors made of wide planks, these seams will become more noticeable over time. Colour is an important factor when you’re choosing timber floors. While it’s generally hard to go wrong with timber floors, even subtle colour changes can influence the overall look and feel of the property, and each design style will have a timber colour that will best suit it. Rustic and country styles are popular in Brisbane properties. Good timber choices to match this natural, earthy look are the brown and red types, like Grey Ironbark, Brushbox, Jarrah, and Rose Gum. More modern homes are sprouting up throughout Brisbane though, and with the influence of styles like Scandinavian design, we’re seeing blonder timbers being used more often. Lighter timbers that are good for flooring are Tallow Wood, Blackbutt, Stringy Bark, and Mess Mate. They’re used more in architecturally-designed or contemporary-style homes, bringing a brighter, cleaner, sharper feel to the rooms. If you’re like the growing number of people in Australia who are passionate about fighting climate change, choosing to install timber floors is generally always a good idea. All wood stores carbon for the life of the timber, helping to absorb greenhouse gases. However, not all timber is sourced sustainably. This is particularly true of imported timber—a large percentage of it is logged illegally or irresponsibly, so it’s wise to choose locally sourced wood. But while Australia’s forestry practices are improving, some timber sources are better than others at complying with regulations that protect our plants and animal ecosystems, water quality, and social heritage. The most effective way to ensure the sustainability of your floors is by sourcing plantation timber; or reclaimed timber, which offers a distinctive, country feel that works well in many Brisbane properties. The type of timber you choose will affect how much maintenance is involved in keeping your floors looking attractive and feeling luxurious underfoot. But there are also a number of choices you can make about finishing the timber, all of which have different benefits. There’s a growing number of finishing products on the market, each with different mechanisms for protecting your timber floors. One of the more popular ones is oil: it penetrates the timber, enhancing its colour and texture but leaving it with its naturally soft and matte feel. Another option is polyurethane, which goes further towards preventing stains and damage, because it leaves a hard topcoat on the wood that’s more resilient to wear and tear. Polyurethane finishes will scratch less easily, but when it does, it’s a lot more work to maintain—less work than oil, which scratches easier but less noticeably. Because there are benefits and drawbacks to all types, it’s worth considering which type will best suit your preferences and lifestyle. 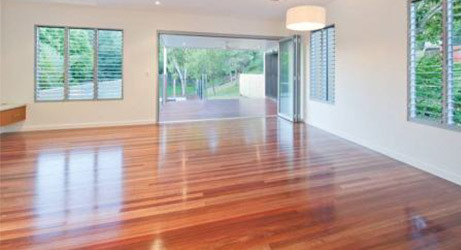 When you choose timber floors, one of the best things you can do is source a good maintenance service provider. 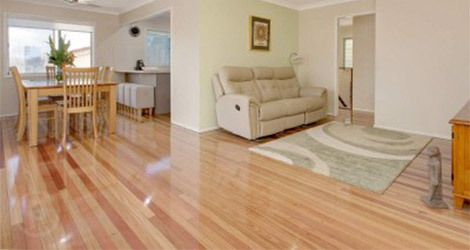 DR Main Floors Brisbane’s timber flooring specialists, and with years of experience and the right techniques, we can help to extend the life of your investment. Whether you’re looking for the security of a partner in caring for your new floors, or you want to completely rejuvenate your old and damaged timber floors, feel free to contact us anytime for obligation-free advice and we’ll be happy to help.